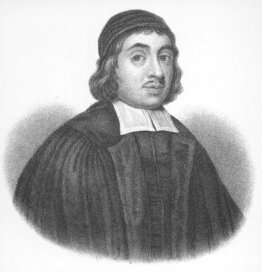 All of Thomas Watson's writings and sermons are replete with sound doctrine, practical wisdom, and heart-searching application. His profound spirituality, gripping remarks, practical illustrations, and beauty of expression make him one of the most irresistible of the Puritans. He was educated at Emmanuel College, Cambridge, where he was noted for remarkably hard study. In 1646 he was commenced a sixteen year pastorate at St. Stephen's Walbrook. In 1651 he was imprisoned briefly with some other ministers for his share in Christopher Love's plot to recall Charles II. He was released on 30th June,1652, and was formally reinstated vicar of St. Stephen's Walbrook. He obtained great fame and popularity as preacher until the Restoration, when he was ejected for nonconformity. Notwithstanding the rigor of the acts against dissenters, Watson continued to exercise his ministry privately as he found opportunity. Upon the Declaration of Indulgence in 1672 he obtained a license for the great hall in Crosby House. After preaching there for several years, his health gave way, and he retired to Barnston in Essex, where he died suddenly while praying in secret. He was buried on 28th July, 1686. From the Introduction to A Body of Divinity, C. H. Spurgeon wrote. . .